Ari is, and has been for many years, one of Bangkok’s hottest neighborhoods. 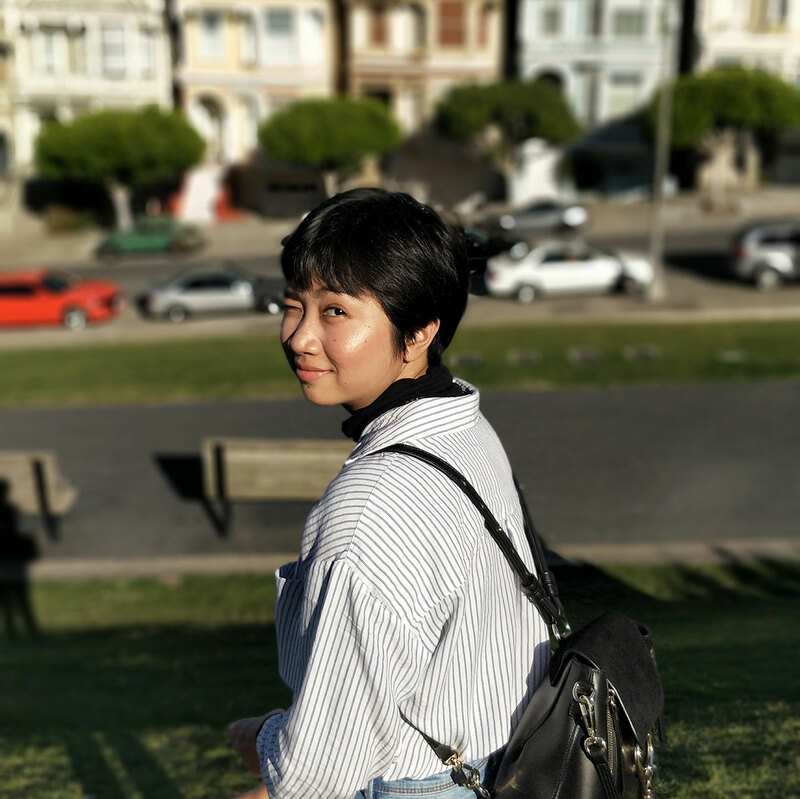 It is home to countless cool cafes, restaurants, bars, retail shops, as well as attractive apartments and condos, making this neighborhood very livable. 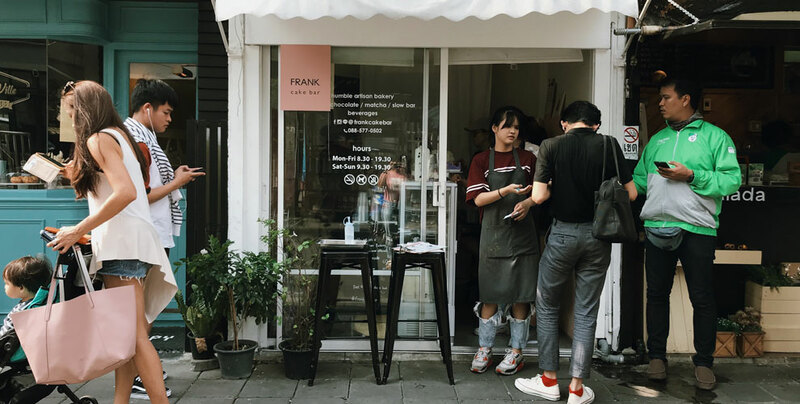 Over the past 3-4 years, Ari has welcomed many exciting new coffee shops which have set the trends in Bangkok’s cafe scene, and have also become staples of the neighborhood – Casa Lapin x Ari, Tokyobike, and FabCafe to name a few. 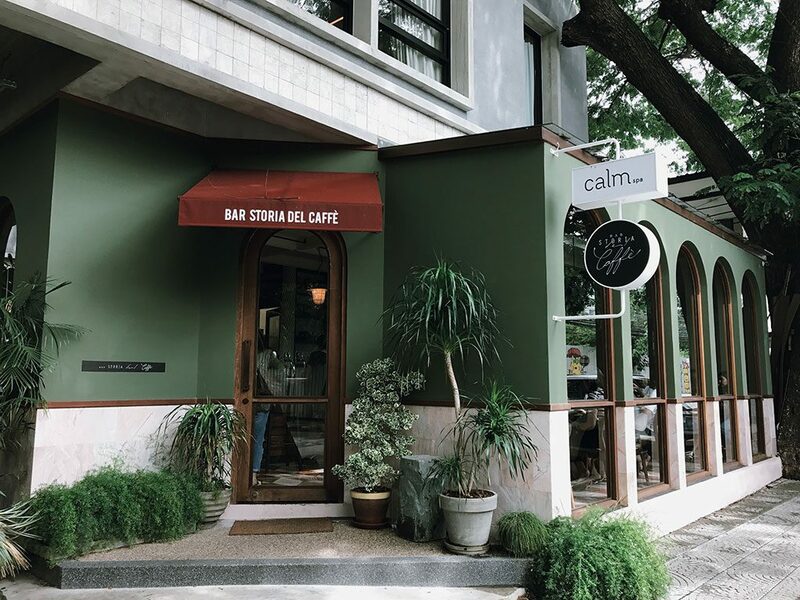 If you’re a cafe hopping enthusiast like me, I’m sure you’d love the vibe of this lovely neighborhood. However, with Ari’s ever-changing cafe scene, sometimes I admit that it can be hard to keep track of all these new openings. 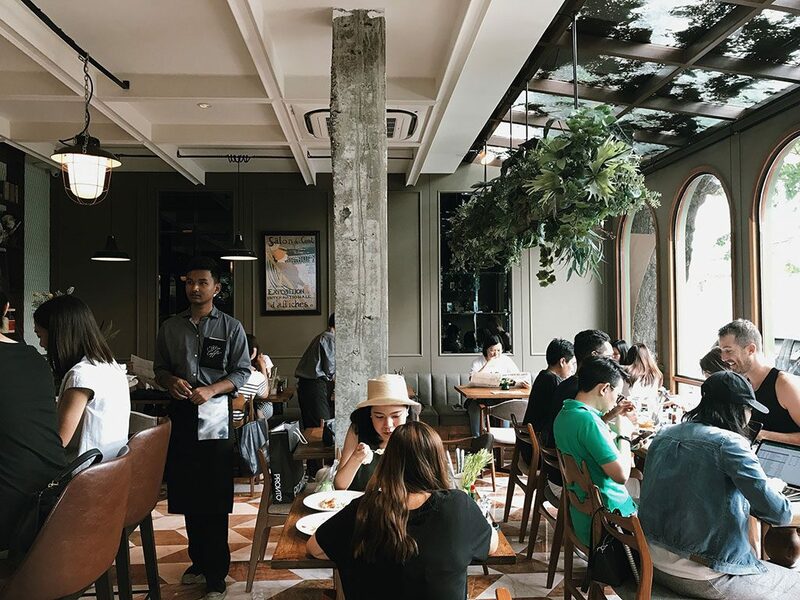 So, today I have rounded up the 5 hottest cafes and shops you don’t want to miss the next time you visit Ari. If you’re a tea lover and fancy a quick energy boost, I suggest you head straight to Coffee No. 9 located at the front of Ari’s new community mall/canteen A-one. With its clean, minimal wood decor, Coffee No. 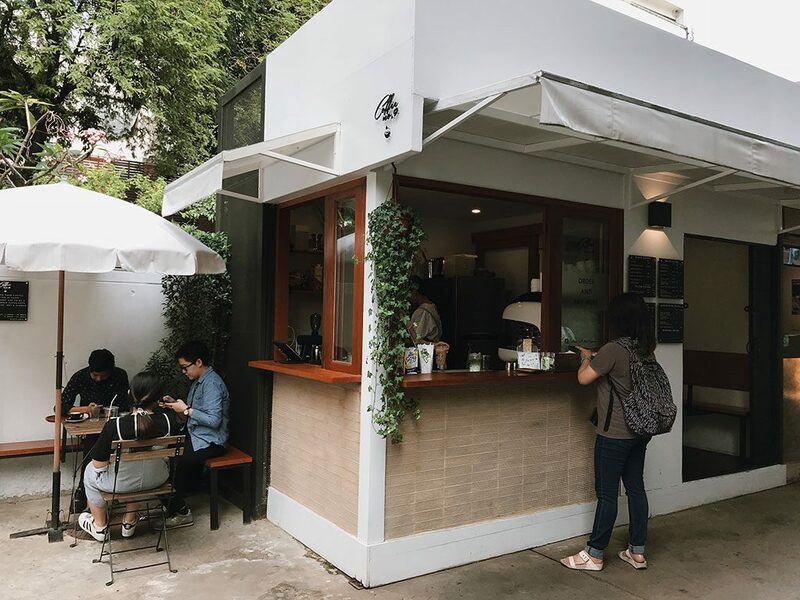 9 is definitely setting the trend for Bangkok’s coffee shop scene – minimal Japanese hole-in-the-wall coffee stand. 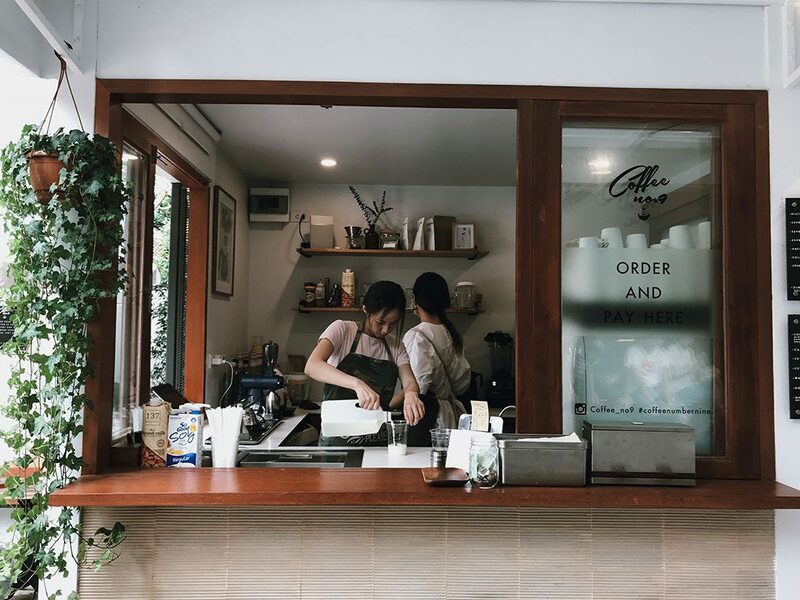 The coffee shop is very passionate about making high quality coffee for their customers, locally sourcing their coffee beans from Doi Saket in the northern region of Thailand. 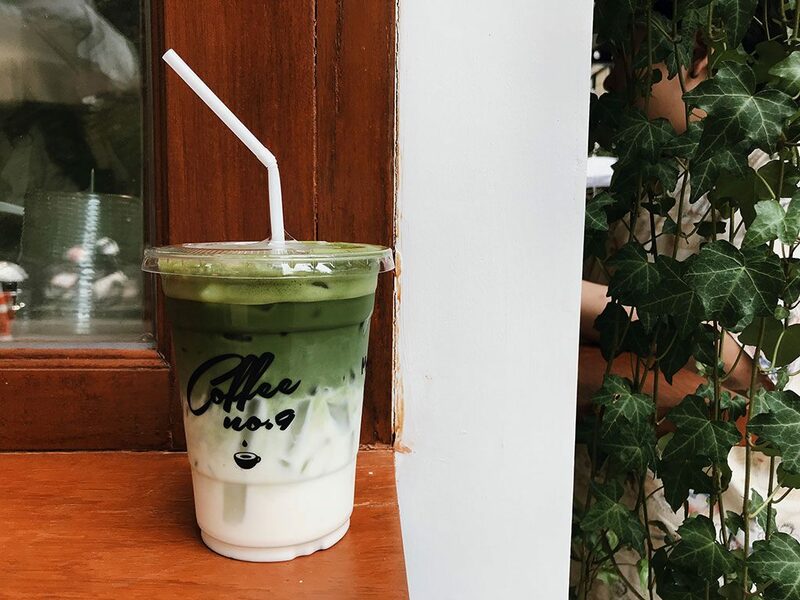 Come grab their popular Matcha Latte (60 Baht), Espresso Macchiato (50 Baht) or their signature Orangano (orange juice topped with Espresso shot for 85 Baht) on the go and snap some great #cafehoppingbkk shots. 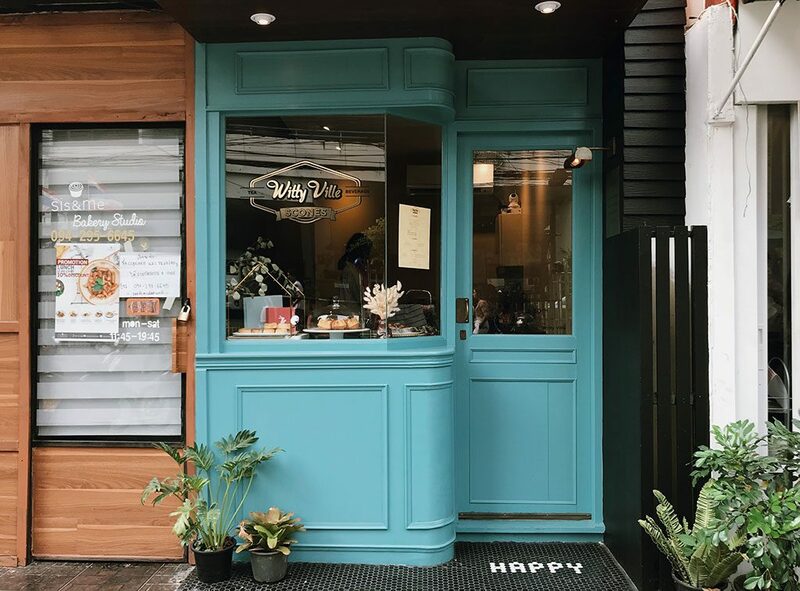 This humble bakery shop has just been renovated from a dainty farmhouse to an elegant, blue paneled Victorian boutique shop that at first glance, will make you think you’re in London. 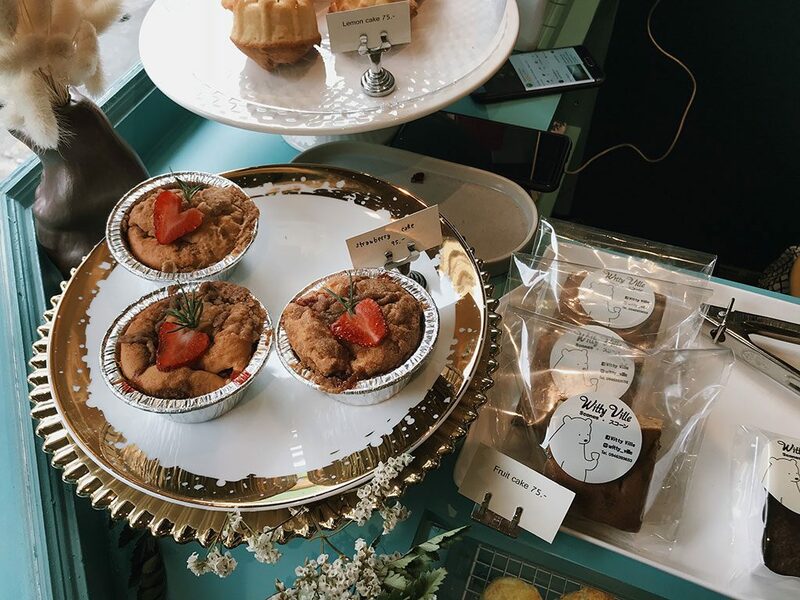 That’s right, Witty Ville specializes in British scones (55 Baht a piece), and its array of cakes and pastries displayed in the window will make your mouth water. 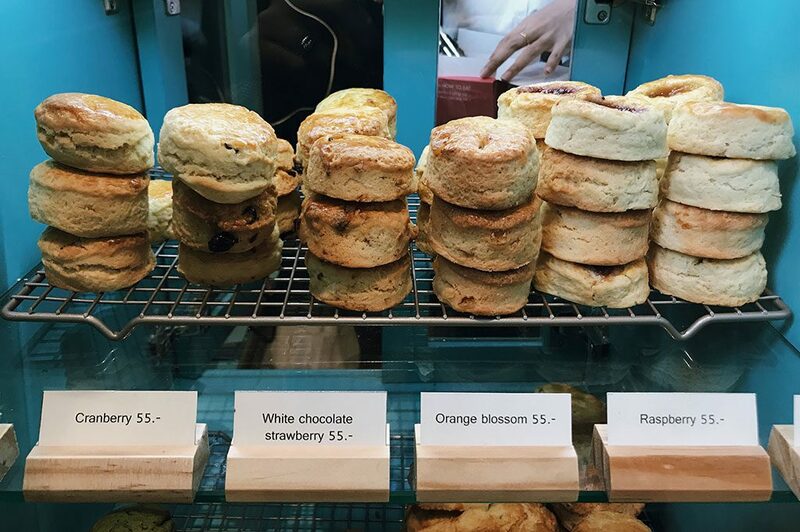 Here, you can get classic plain scones served with clotted cream and jam or other flavors like orange blossom, cranberry, white chocolate strawberry, raspberry, Nutella, or even Jalapeno and Cheddar cheese scone. I ordered the plain scones, and although I wish they came in a bigger size, I found them to taste moist and delicious. 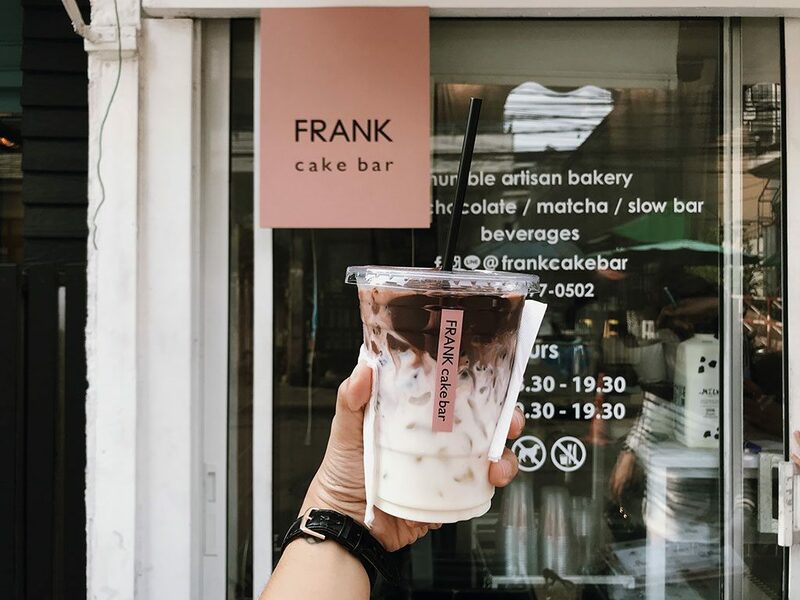 Right next to Witty Ville is Frank Cake Bar, a stylish mini bakery shop that is owned by the same team behind the now defunct dessert shop, Fat Beaver at The Season community mall. This place is probably THE hottest bakery shop in Ari right now, with fans going crazy for their signature rich and dark cocoa drinks. Expect to wait up to 10-15 minutes for your order, as this place is always packed with customers. I over heard a Farang couple comment, ‘I love their Matcha Latte but I can’t be arsed to queue up in the sun’. 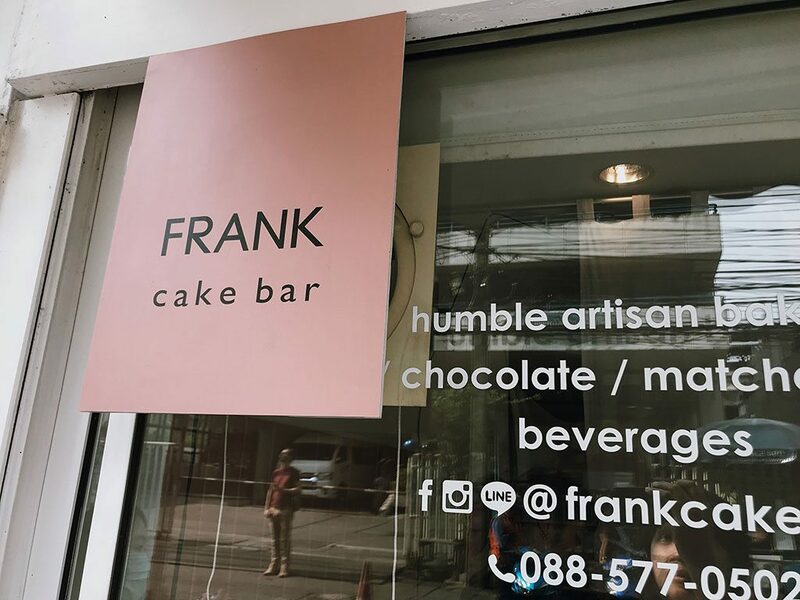 Frank Cake Bar also offers yummy homemade cakes such as their best-selling orange cake (85 Baht) and carrot cake (85 Baht). 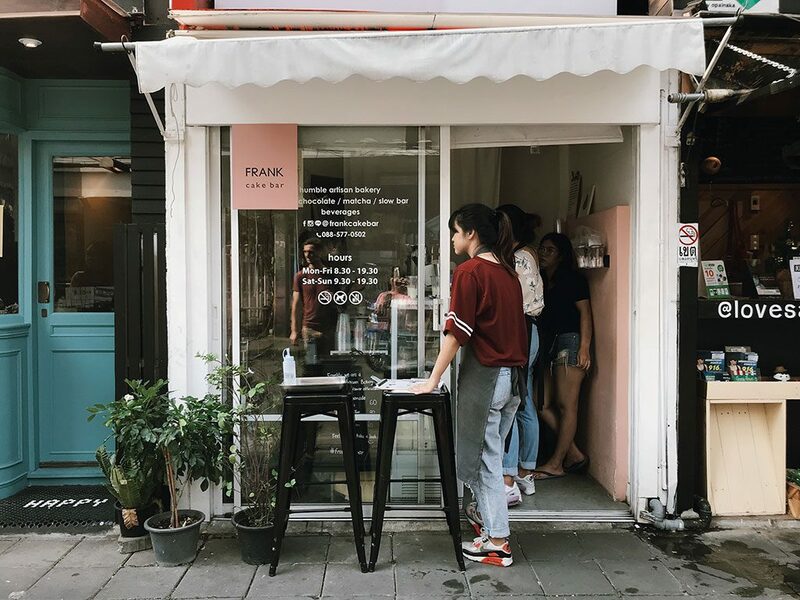 As for the beverage menu, apart from their wildly popular dark cocoa drinks like Military (115 Baht), an interesting mix of matcha and dark cocoa, another highlight you should try is Ispahan (95 Baht), a refreshing drink made up of brewed coffee, lychee syrup and rose water. 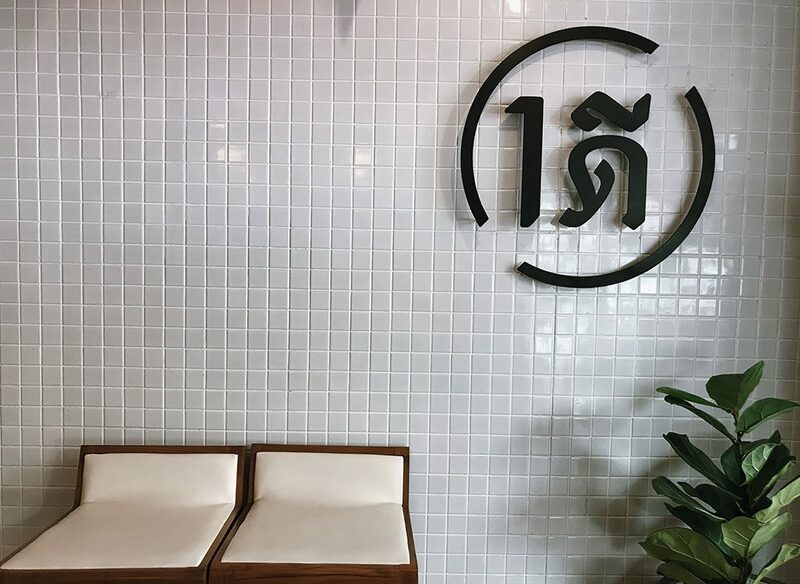 If you have a sweet tooth and Thai desserts are your thing, then this newly opened ice-cream parlor might easily be your new favorite haunt in Ari. Onedee Cafe has an impressive number of coconut ice-creams that comes in so many creative forms you’d just want to try them all. 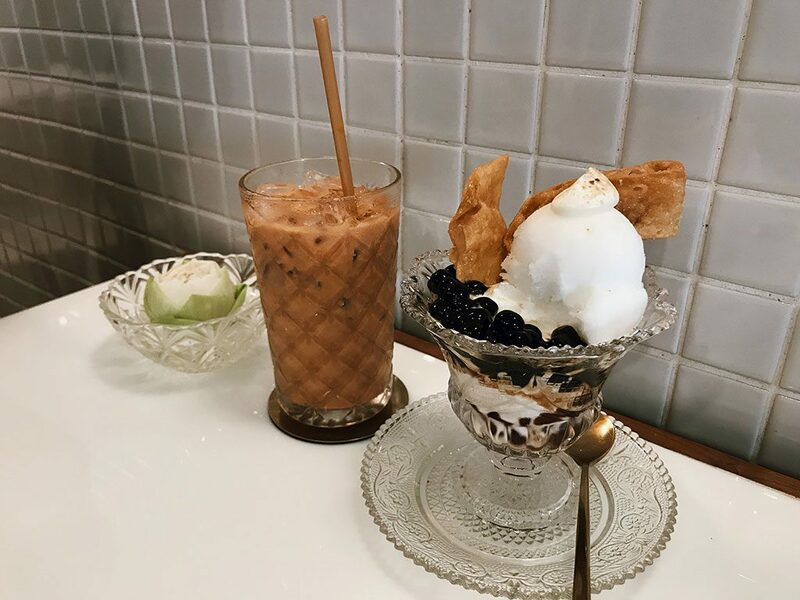 The toddy palm sugar ice-cream topped with rich coconut milk and shredded shrimp has proved to be a hit, while the Thai melon ice-cream with coconut milk and sago is also a popular choice. 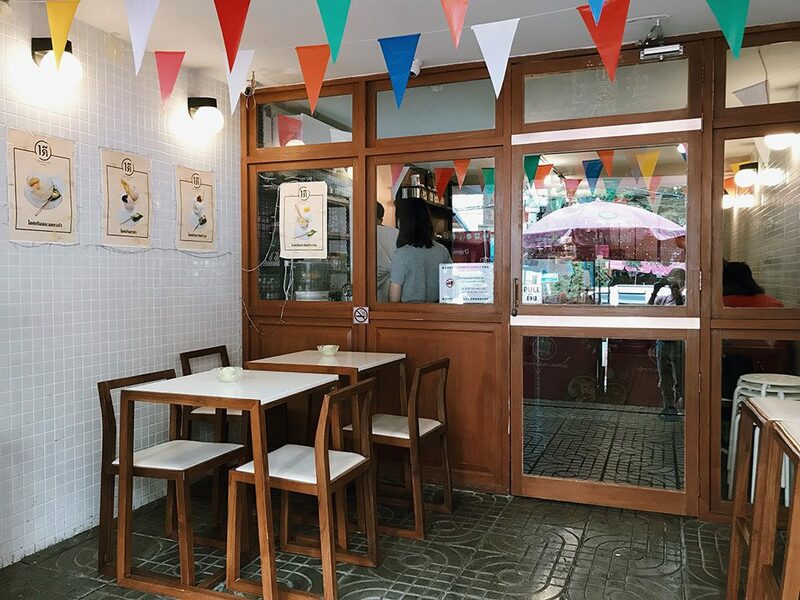 As for the drinks, Onedee Cafe also offers a good selection of espresso-based coffee to the all time classic Thai tea or Cha Chuk (65 Baht). But if you feel a bit adventurous, the Rum Sundried Banana Latte and the Cold Tanod Macchiato are hard to miss. This classy cafe/restaurant has proven to be a popular addition to the Ari neighborhood. It’s really hard not to fall in love with the venue’s photogenic vintage Western decor, as well as its calm and relaxed atmosphere. 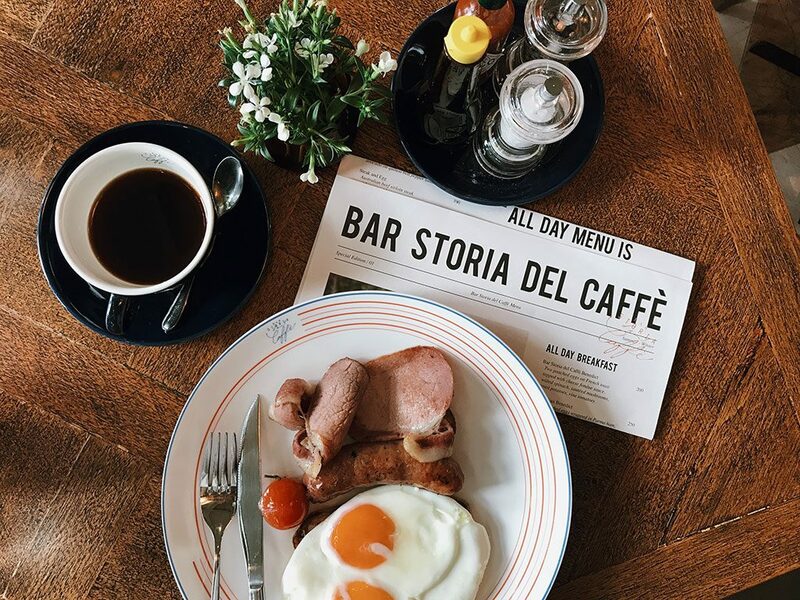 Situated on the ground floor of Calm Spa, Bar Storia del Caffe is great for lunch dates and social gatherings. As for the food, the cafe has a good selection of hearty Western dishes that is perfect for your breakfast and brunch needs. In the evenings, they also serve craft beers and ciders if you fancy somewhere mellow and quiet to drink after work.